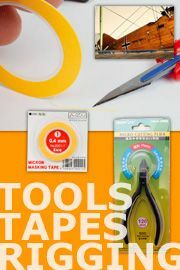 This is a reissue of their tooling, which was first released back in 1999. 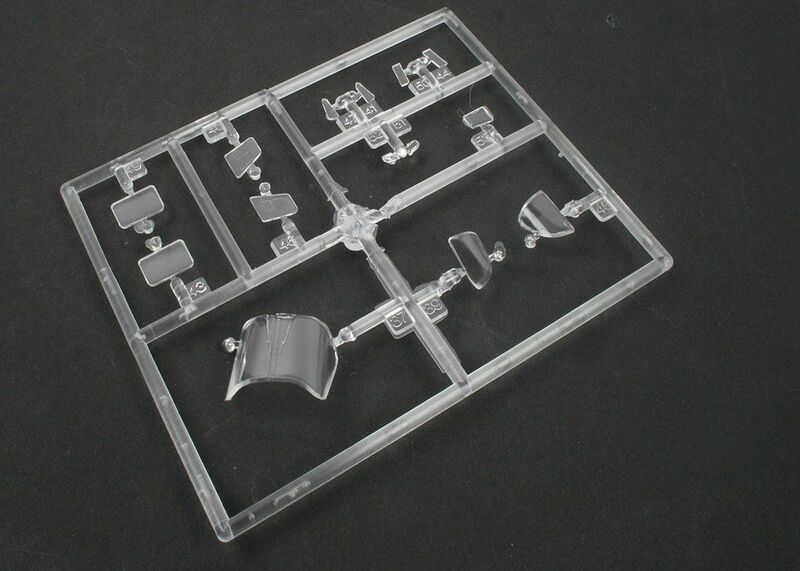 Inside the box, which is of their usual end-opening style, you will find a single clear sprue and three moulded in a white. 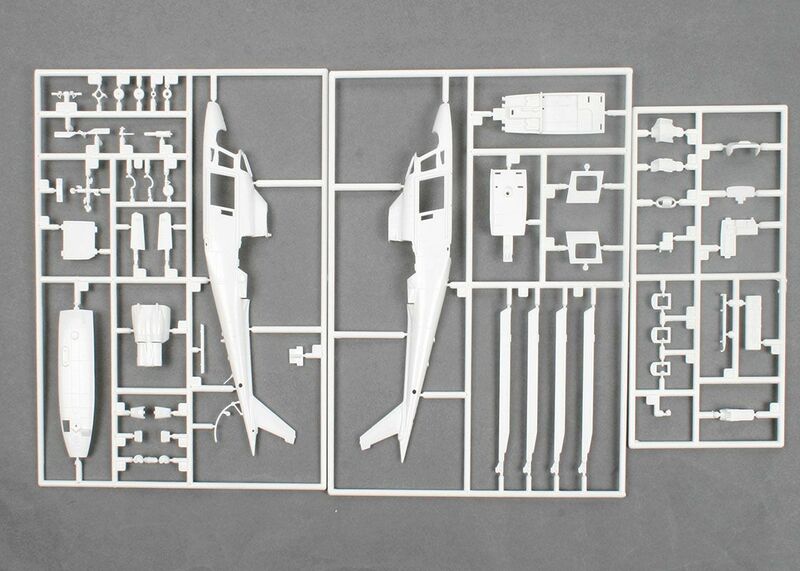 In total there are just 66 parts, so you can see detail is limited. The interior has a basic floor, seats with moulded seat belts, rear bulkhead and instrument panel with decal. The seat in the main cabin along with the radio equipment etc. is al depicted and the upper roof section that goes above this holds the main rotor shaft. The two fuselage halves fit together very well, although you have a separate insert for the underside, so alignment of this will be worth investing a little care over. The upper engine decking and exhausts are pretty basic, but they will do. All the undercarriage is as simple as the real thing, although the instructions don;t mention the need for nose weight, which we are pretty sure you will need to add at 7 or 8. 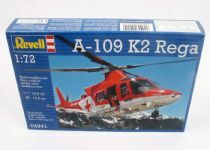 You have the option to have the cabin doors open or closed and by using the photo on the box top you should be able to add the guide wires to the skis on each wheel, as these are not in the kit nor mentioned in the instructions. 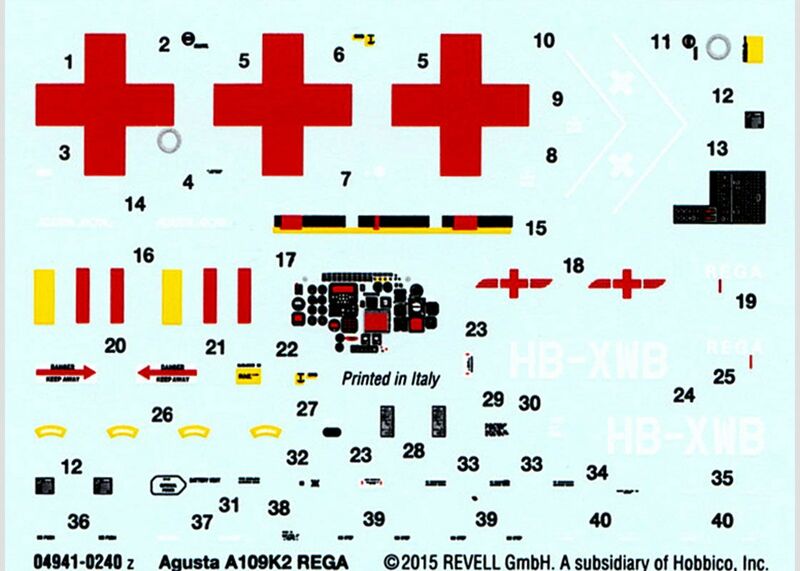 There is just one decal option that of a 'Rega' machine operating out of Zurich Airport in 2010. The overall scheme is a simple red and white one, although I think the photo on the box will give you a better ideal of the rather orange nature of the red applied to these machines. The tiny little decal sheet contains all the markings, stencils and the instrument panel and they are nicely painted and, for a change, glossy without areas of opaque carrier film visible. A neat kit, not that detailed and a bit pricey for what you get in the box, but it will thus quickly add this type to any helicopter collection. Its simple nature means that it is one that can be recommended to all. 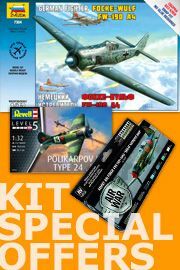 Our thanks to Revell GmbH (UK Branch) for the review sample, for more details about this and all other Heller products by visiting www.revell.de/en.